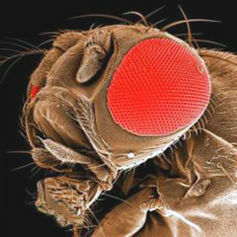 An enormous amount of what we know about genetics has come from research using the fruit fly Drosophila melanogaster. More than a century of scientific research on a species of fly, Drosophila melanogaster, has placed it on a pedestal in the pantheon of organisms that have informed us of the mysteries of developmental processes and molecules that govern our own development and disease. he didn’t have the benefit of molecular genetics to inform him of a deeper meaning behind his simile of consciousness and existence. 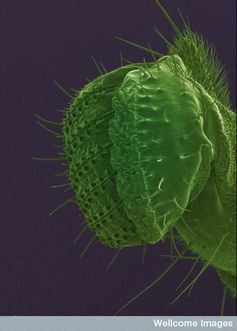 Many of us remember Drosophila as the fruit fly (or – more correctly – vinegar fly, as it feeds on yeast and is not closely related to the flies that terrify our orchardists) as an animal used to teach high-school or undergraduate genetics and that they come in variants with different-coloured eyes. The reason for the utility of Drosophila as a teaching tool comes from the enormous amount of genetic knowledge that we have of this small but complex organism that was first brought into a laboratory by William Castle at Harvard University in 1901. The rocket to biological stardom for Drosophila really began in 1906 when it was adopted as an organism of study by Thomas Hunt Morgan, who would go on to become one of the most influential figures of 20th century biology and win the 1933 Nobel Prize in Physiology or Medicine. At the turn of the century, Hunt Morgan was an established embryologist who did not agree with Charles Darwin’s theory of natural selection and was sceptical of the newly re-discovered work on genetic inheritance by an obscure Austrian monk named Gregor Mendel. Hunt Morgan decided to use Drosophila to advance his own theories for reasons that are depressingly familiar to today’s academic researchers – he didn’t have much money or space available to him. Herein lie the major advantages of working with this organism: they are cheap to raise, breed prolifically in small bottles and have a breeding age of about ten days, so large-scale multi-generational breeding experiments can be rapidly performed. Hunt Morgan’s epiphany arrived when he identified mutant variants (including the famous white-eyed fly among thousands of red-eyed individuals) that inherited characteristics in the ratio precisely predicted by Mendel. Then in 1980, in another herculean Nobel-prize winning effort, Christiane Nüsslein-Volhard and Eric Wieschaus screened hundreds of thousands of mutated embryos to identify genes that regulate embryonic development. A stunning result from this Drosophila work that nobody predicted emerged over the next two decades was the genes that regulate patterning of the body plan and organ development in Drosophila also play the same role in us! The DNA sequence of the Drosophila genome was published in 2000 (and this effort was basically funded as a test-run for methods used to sequence the human genome). Drosophila only contain four chromosomes, as opposed to the 23 in humans, and their genome is approximately 1/26th of the size, making genetic analysis much simpler. A survey in 2001 showed that 75% of known human disease genes had an identifiable match (or orthologue) in Drosophila. This lead to a new paradigm for understanding how human disease genes function – we can analyse their partners in the simpler organism. This has proved to be extremely profitable although we should not be fooled into thinking that fruit flies are simply little people with wings. Many aspects of human biology cannot be studied in Drosophila. For example, flies lack blood vessels (but have an open circulatory system where a blood-like hemolymph is pumped around all of their organs) and they don’t generate antibodies to fight disease. So if we are to use Drosophila to further our understanding of human disease, we need to know what is useful to study and what is not. Many of the fundamental processes that underlie organ function, such as control of how and when cells proliferate, evolved very early during the history of multicellular life on Earth and hence have been conserved in the evolutionary pathways that have lead to organisms that appear as different as flies and humans. 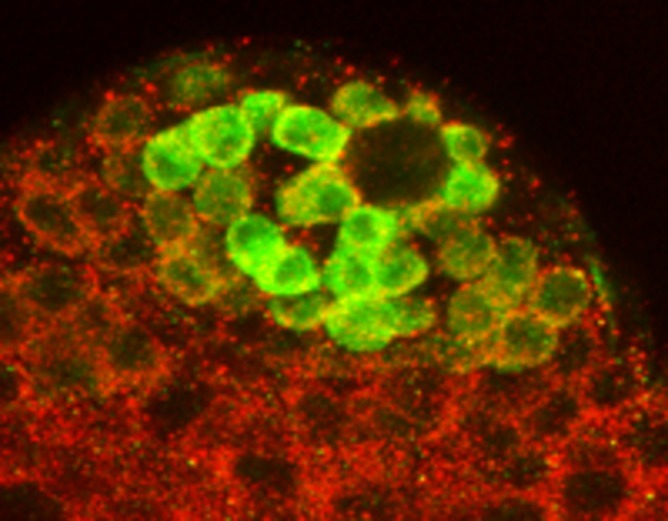 Hence, many of the genes that are mutated in human cancers can be found to play roles in regulating cell proliferation in Drosophila. So where lies the future for research with this “small bizarre terrestrial organism,” as I once heard Drosophila described? The genomics revolution has now made it possible to decode the DNA sequence of a human individual for around A$1,000, so what use is a genetic model? DNA sequencing of diseased tissue, patients and family members will probably lead to the identification of most gene variants associated with human disease over the next few years. The tricky part is going to be to identify exactly what all of these genes do. Many will code for proteins of unknown function or we may have a clue of their function but not know how they fit into the molecular networks that regulate cell physiology. This has been one of the key planks of Drosophila research methods over the past decades. We can take a strain of Drosophila that carries a mutation in a given gene, and due to the ease of breeding experiments, combine it with mutations in thousands of different genes. In this way, researchers can build up genetic networks, or pathways, of genes that work together to regulate a cellular behaviour and uncover the functions of unknown proteins. 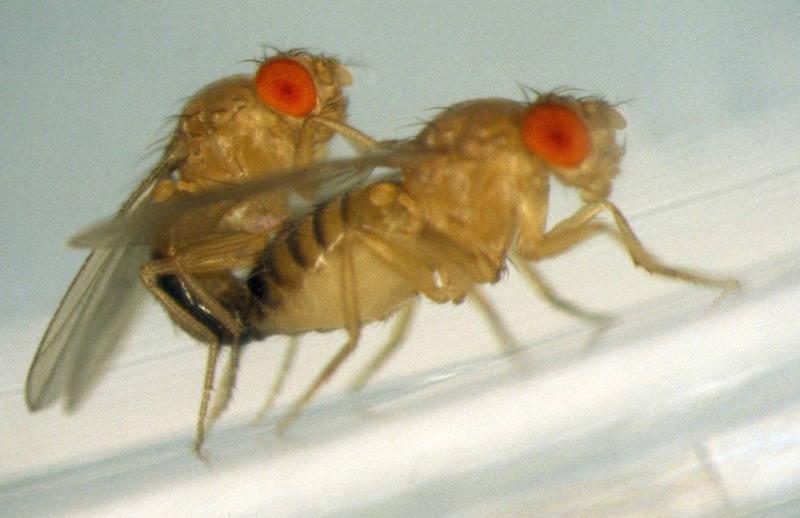 New biological processes are continually being dissected using Drosophila. In my own laboratory we are identifying the genes that regulate how stem cells regenerate organ function and then testing if these genetic networks also function in mouse stem cells and human cancers (psst – they do!). Even processes we might have not thought to be similar in Drosophila, such as behavioural choice, are providing valuable insights from fruit fly models. Bruno van Swinderen at the University of Queensland has identified mutants that affect visual attention-like behaviour. He has even shown that attention-like defects can be ameliorated by administration of methylphenidate, a drug more familiar to us as Ritalin. This sort of result has also lead to an increase in the use of Drosophila as a screening mechanism for therapeutic drug discovery associated with a wide range of diseases as a low cost, high throughput mechanism of screening compounds in whole animals. There is also another arm of Drosophila research that is becoming increasingly important in the modern world. 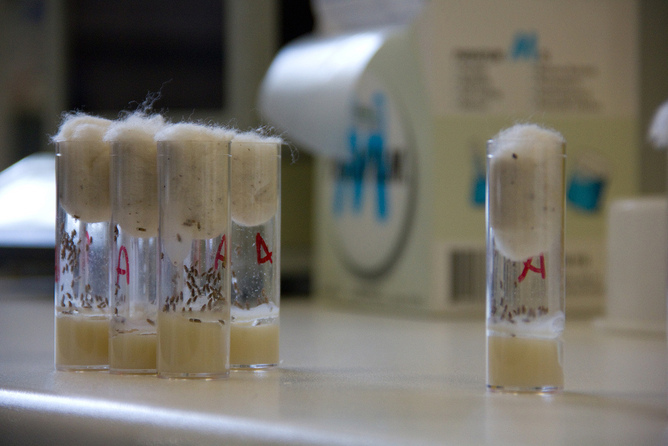 For many years, Drosophila have been used to test the mutagenic properties of environmental toxicants and as a model to understand how organisms respond to a changing environment. We live in an environment that is currently experiencing a rapid alteration in global temperature and fluctuations in climatic conditions. It will be advantageous, if not crucial, for us to understand how climatic variation and by products of urbanisation will affect growth, reproduction and survival of our agricultural species, pollinators, wild food stocks and environmental reservoirs of key species. Genetic analysis in Drosophila provides a mechanism to study these processes across multiple generations of individuals within a timespan that may allow us to identify solutions to problems before they become unresolvable. The final key point to make about the success of Drosophila research is to note the community of Drosophila researchers, or flyfolk, themselves. Many stories can be told of people sharing reagents, strains and ideas across continents prior to formal publication and this spirit of co-operation is what has really progressed research in Drosophila biology over the past 100 years.